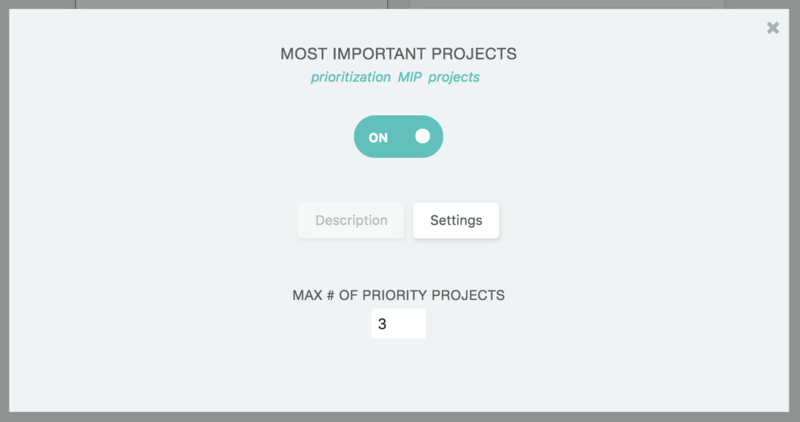 Turning on the MIP strategy allows you to assign a crown to a limited number of projects to make them your "most important projects". To assign a crown to a project, click on the edit icon to the right (cog) and select the crown at the bottom right. In the strategy settings you can set the max number of MIPs you can have at any one time. If you want to assign a new crown when you already have 3 MIPs and your limit is 3, you need to first complete a MIP or take away a crown from one of the MIPs to be able to assign the crown to another project. The limit can be adjusted anytime. 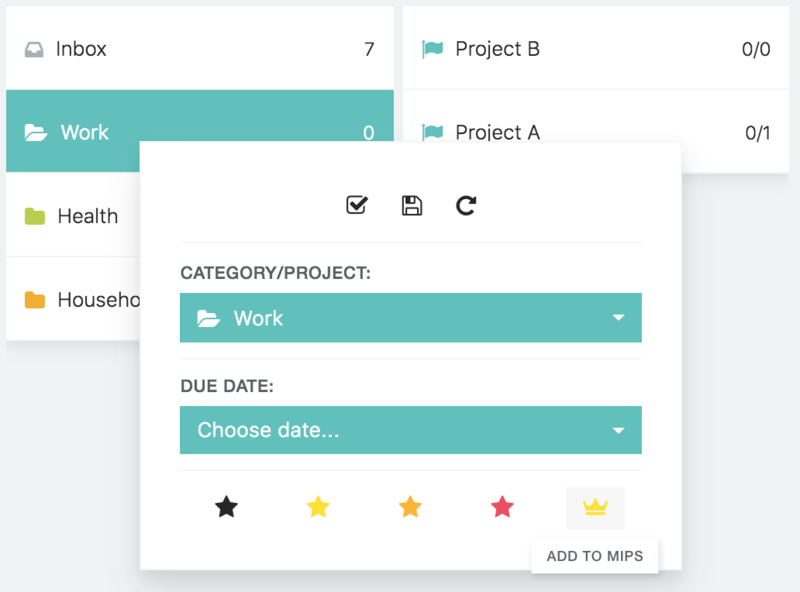 A MIP will have a crown on top of the regular flag icon.